It’s now what you know or who you know, it’s who knows you. 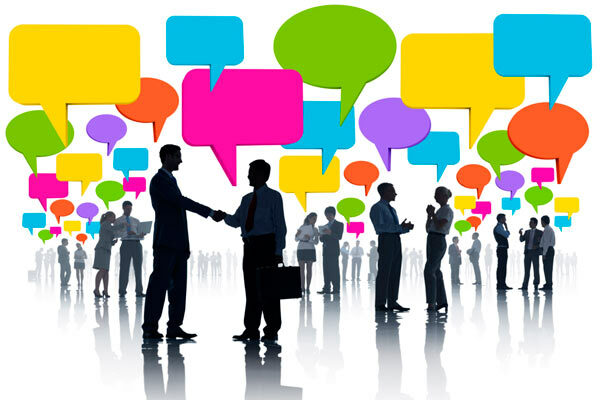 I find networking to be an easy concept, so I’ll try to explain it in five steps. Who are you? What are you trying to do with your life? What are your aspirations? What is your passion? Try your best to answer these questions—they will help you navigate through the many conversations you will have with other graduate students as well as current professionals in the field. As a grad student, you should already have some kind of idea that enables you to effectively articulate who you are and what you’re about. Again, depending on what kind of industry you are trying to enter, this could be a different experience for anyone. As an undergraduate business student, I was told to remember a few key steps when exchanging business cards. First of all, always make sure you are ready to provide a business card to the person you are talking to. Personally, I have seen too many situations where a person will check every single pocket of their outfit and end up running out of business cards. Although this is not necessarily a make-or-break moment, it decreases the likelihood that the person you’re networking with will actually keep in contact with you. Secondly, when you exchange business cards, be sure to write a note on the back of their card to remind you how you two got connected in the first place. Next, keep the business card in your hand until you are done talking to the person you’re networking with. Too often a person will not be mindful of where they put another person’s business card while they’re chatting; within five minutes they may actually lose the business card, and therefore lose the contact. The moment you two part ways, make sure you are able to make sense of the note you wrote on the back of the business card and then safely place it somewhere you won’t forget. As a member of an international co-ed business fraternity, I was advised to remember the 72-hour rule. Let’s say you attend a conference from Friday to Sunday. According to the 72-hour rule, you should try to contact everyone you connected with by the following Wednesday. (This allows folks to get settled back into their daily routines.) Contacting them shows initiative; it shows how serious you are about developing a professional relationship, and you don’t have to worry about them forgetting about you since the interaction you had is still somewhat fresh in their mind. Let’s say a few months go by since you and your new contact have spoken. Make an effort to do a simple check in with them. A quick message via e-mail or even a phone call just to see how work is treating them conveys how genuine you want the relationship to be. It also shows them that you two are not just going to talk to each other once and then forget about each other until the next conference. You would be surprised how many people I unfortunately have not spoken to since I first e-mailed them due to our lives getting caught up with the craft of our work. As a graduate student, there are at least five conferences a month that are happening in my field of student affairs. Anytime I have the opportunity to go to a conference, I make an effort to reach out to folks I haven’t seen or spoken to in a long while. I always try to give people a heads up so we can reconnect and continue from where we left off. The conversation may have started at a conference, but it doesn’t mean that it is where it has to stay. As I said before, networking can be very easy for some, while overwhelming and difficult for others. As I also said before, networking looks different depending on what kind of grad program you’re in, what kind of professional development opportunities are available, and what the culture looks like for the field you’re trying to enter. But at the end of the day, networking can provide many doors for you to open. You are the key to your success. Kevin Wright is a first-generation graduate student from Las Vegas, Nevada, and earned his master's in Student Affairs Administration from Lewis & Clark College in 2016. Kevin graduated from Northern Arizona University in 2014, where he studied Communication Studies with a minor in Sociology. His hobbies include traveling, networking, going to concerts, and endlessly watching Netflix. Kevin aspires to become a college president so he can advocate for more affordability and accessibility for students wanting to pursue higher education.